Keeps dirt and moisture away from floors and carpets. Contains 100% post-consumer recycled content. 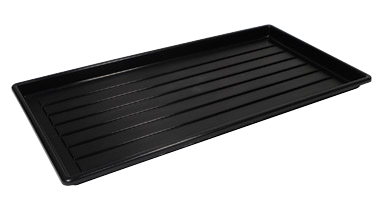 Built-in gutter collects water and dirt to keep it away from footwear and off of the floor. Black. 27"W x 14"D x 1-1/5"H.